These decadent muffins owe their golden hue to roasted beets. 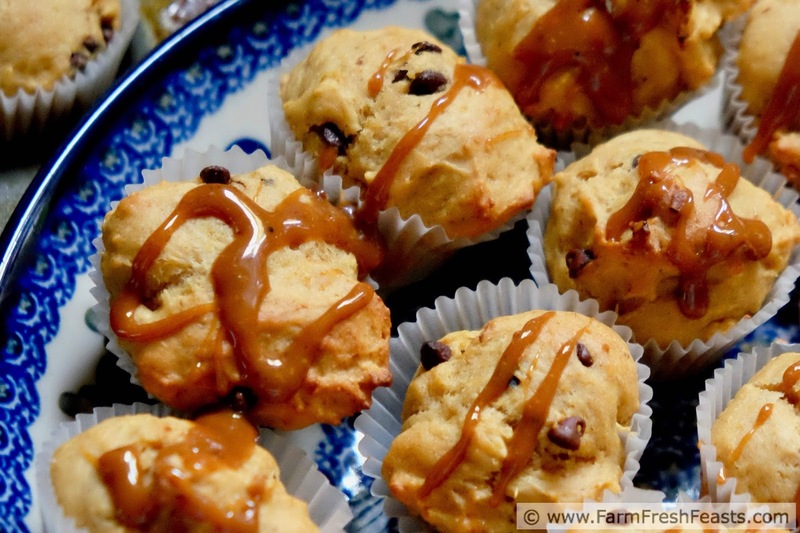 Take them over the top with chocolate chips on the inside and a caramel drizzle. Eating your beets for breakfast never looked so good! I'm used to getting scarlet beets in the farm share. For years I've been searching for recipes that will entice my family while using up the beets from the Community Supported Agriculture (CSA) farm share. I've tried sweet and savory preparations with mixed results. One thing that is consistent is that beets + chocolate go well together in a sweet baked good, but sometimes the vibrant color (found in nature--no dyes necessary) is off-putting. Other times, like in my Cocoa Beet Chocolate Chip Muffins, it can really look cool. When I opened up the farm share box to see a bunch of golden beets I was delighted. Now, maybe I had a chance to remove the shocking pink aspect of the beet dishes from the equation, and just let the earthy-sweet flavor of the beet work its magic. I roast beets wrapped in foil (scrub them good but don't peel, drizzle with a bit of vegetable oil or water so they steam) in a 400 degree (Fahrenheit) oven for 45 to 90 minutes or until tender when you squeeze the foil packet. After that you simply slip the skin off the cooled beets and you're ready to use them however you like. Roasted beets will keep in the fridge for several days and can be frozen for several months, though when you thaw them I hope you don't want lovely slices as the plant cell walls will have burst during the freezing and they'd rather be smashed into puree. With this roasted beet puree I got creative. 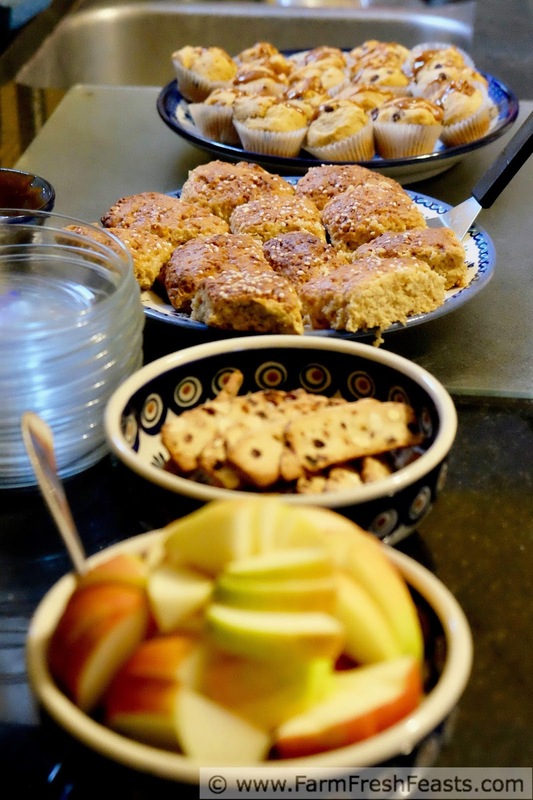 I mixed up a batch of Golden Beet Scones and shared them around. And, knowing I wanted to use them for Muffin Monday, I baked a batch of beet muffins for my book group. [We discussed The Light Between Oceans, which was a nice story with lots--I mean lots and lots and lots--of very vivid descriptions that were well written. There was just a lot of excellently-written repetitive material. I'll cut to the chase--read the book. When you have time.] I got thumbs up from my fellow book group folks, from my coworkers, and from my family for these muffins. For my book group--local apples, cranberry biscotti, golden beet scones, and golden beet muffins. Help yourself! If you get golden beets, please consider this recipe. 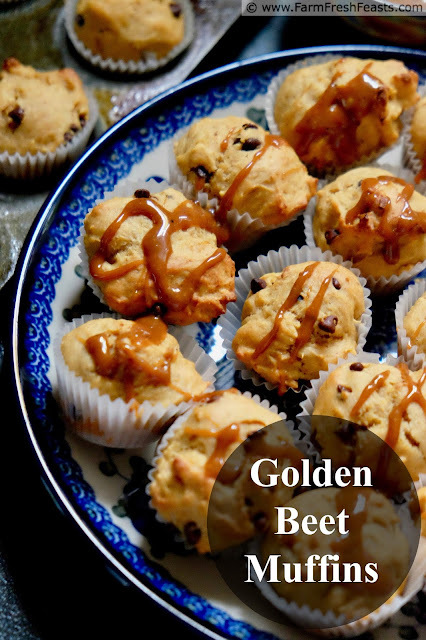 If you're looking for other beet recipes, please see my Beet Recipes Collection. It's part of the Visual Recipe Index by Ingredient, a resource for folks like me eating from the farm share, the farmer's market, the garden, the neighbor's garden, and great deals on ugly produce at the grocery store. Preheat oven to 400 degrees Fahrenheit. Line a mini muffin pan with paper liners and spray with a bit of vegetable oil. Combine beets, egg, oil, brown sugar, vanilla and yogurt in a bowl. I used my immersion blender because I just didn't feel like beating the stuffing out of it. Set aside. Pour beet mixture into the flour mixture and stir a few times. Add the chocolate chips and stir until just combined. 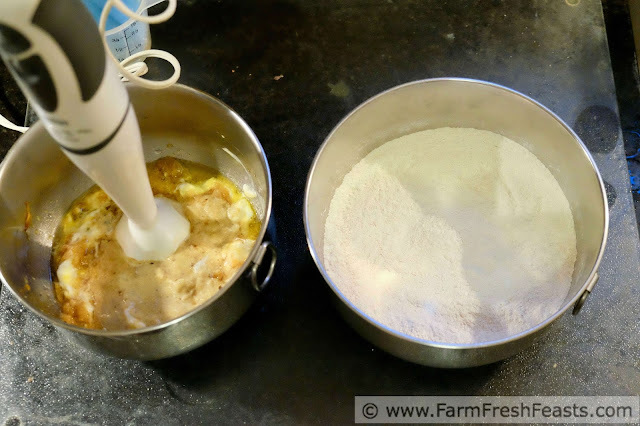 Scoop the mixture into prepared muffin cups. Bake in preheated oven for 15 minutes until tops are lightly browned. 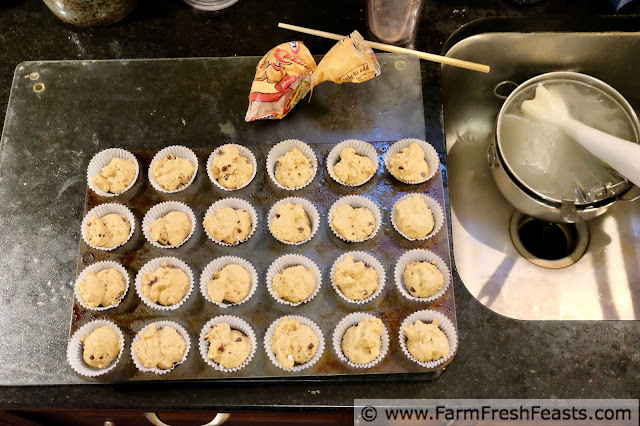 Remove muffin pan from oven and place on cooling rack. Melt caramels in a small dish until they are liquid. This took me 4 to 5 15 second bursts in my microwave, but your mileage may vary. Assemble muffins close together on a parchment sheet and drizzle the caramel over top. Let cool for 5 to 10 minutes, then transfer to a serving plate. 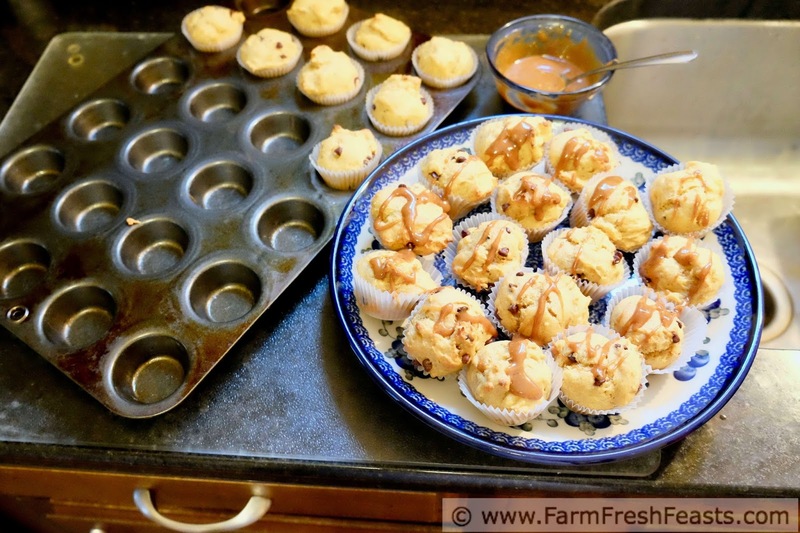 You can also serve these muffins without the caramel drizzle. They transport easily that way, too. My husband, who eats practically anything else, is not a fan of beets and I've often wondered if part of the aversion is due to the color. Once you've had a bad childhood beet experience or three, it would be hard to overcome the knee-jerk reaction to the color. Perhaps I need to seek out some golden beets and give it one more try. I, on the other hand, love beets in all their forms, Kirsten. Your muffins look splendid! Your muffins are adorable, and thanks for all the tips on roasting and freezing your bounty. Plus, we got a book review as a bonus!! Beet puree sounds delicious in muffins! I love recipes that "hide" vegetables because I can never have enough veggies. Using yogurt also sounds like a great sub for oil for a bit healthier breakfast/snack. 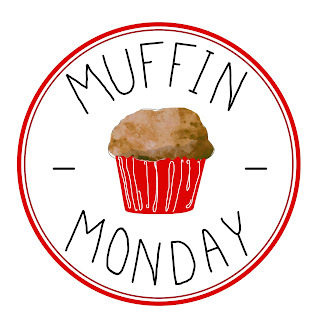 Thanks for sharing a fun and unique muffin recipe! So I'm in love with that muffin pan....so many mini's in one shot. Also I think golden beets are beautiful. 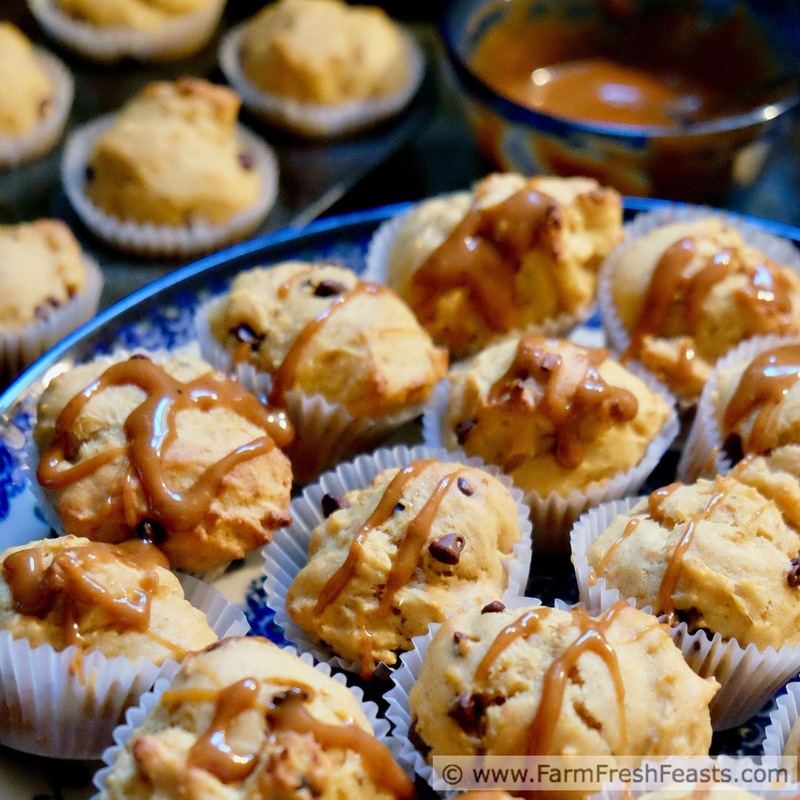 That caramel just takes those muffins over the top! I've never had a golden beet. I wonder if I can get them here.